Around 300 people attended the event. Several hundred people unhappy with Mikheil Saakashvili's recent "marches for impeachment" met on Kyiv's Independence Square on 24 August, according to Hromadske TV. Their event is called "Coffee on Khreshchatyk". 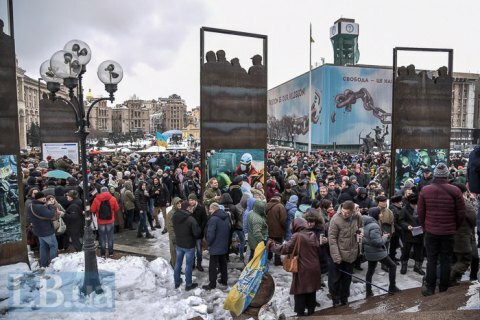 "We came to express our protest against the marches which Saakashvili holds every week. We are tired of them. 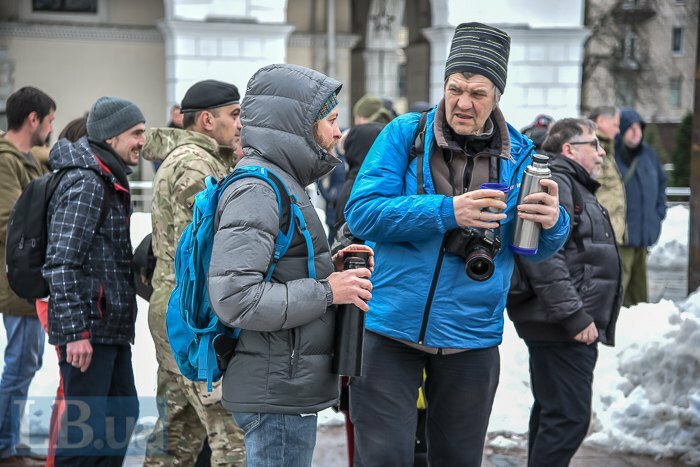 Ours is a peaceful event, we are just drinking coffee," event participant Serhiy said. "This event is an opportunity to meet friends and have a cup of coffee. That is the essence of the event," presidential adviser Yuriy Biryukov, who also took part in the event, told UNIAN. Around 300 took part in the event, some of them were dressed in fatigues. 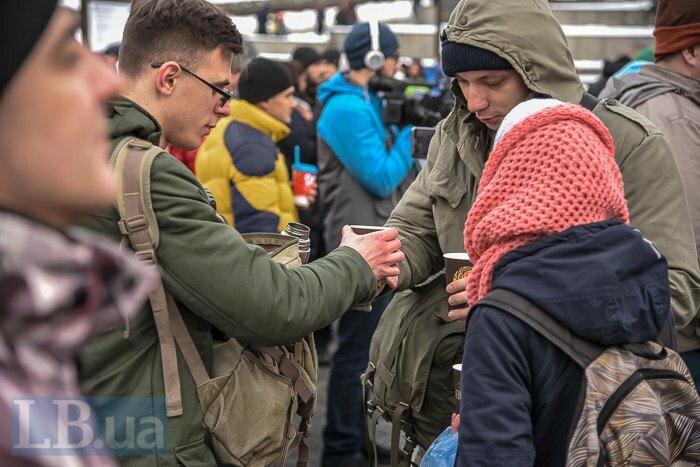 Some participants treated others to Roshen sweets. 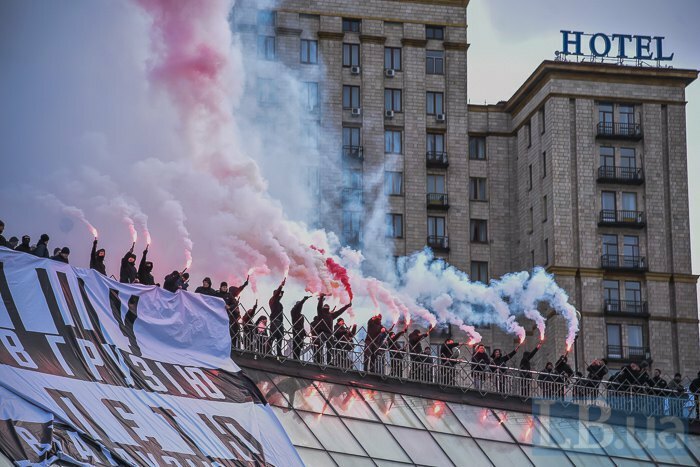 In parallel, a small group of nationalists rolled out a big banner along the wall of the Globus shopping centre, saying "Misha to Georgia, Petya to Gagauzia", and lit up flares. Saakashvili earlier said that his Movement of New Forces would not hold any rallies during the New Year holidays.